Killing Floor: Double Feature will take "the bloodiest and best chapters" from the Killing Floor universe and pack it into the upcoming Double Feature set. It brings the co-op survival horror shooter Killing Floor 2 for PlayStation 4 together with the VR survival horror shooter Killing Floor: Incursion. It will also include the playable character Mrs. Foster as DLC from Killing Floor 2, in addition to the seasonal content previously released for the game since its launch. Killing Floor finds players working together to stave off waves of zombies (called Zeds in this universe) as well as plenty of monstrous clones and other baddies that need to be eliminated. There are various classes to choose from as the hordes descend upon you, and plenty of weapons to start eradicating the Zed threat with. There's support for up to 6 players in Survival Mode, 12 players for Versus Survival, and regular free content updates here and there with new maps, weapons, and other gameplay enhancements. Killing Floor: Incursion finds players taking on the role of a trainee at Horzine Security Forces as they work to contain the Horzine Corporation outbreak and use guns, blades, and the limbs of enemies to thin the herd of disgusting Zeds. It's meant to be played in VR, and it'll put you right in the action. 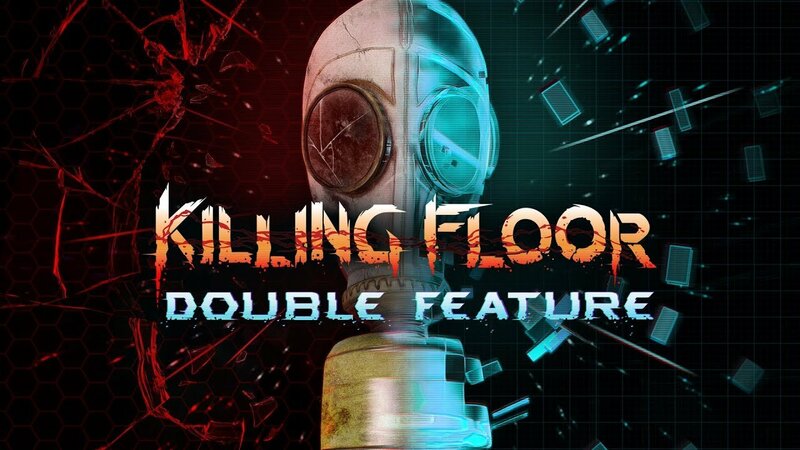 Killing Floor: Double Feature is set to debut on May 21, 2019 and will debut on the PlayStation Store as part of the 10-year anniversary of Killing Floor, which first debuted back in 2009. If you're into zombie-slaying (yes, we know these are "Zeds") then it's a game you'll want to keep on your radar, especially if PlayStation 4 is your jam.